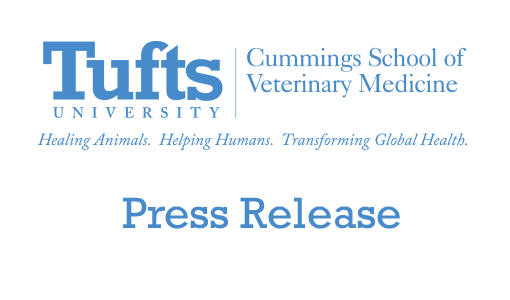 Dog and cat owners buying weight-control diets for their overweight pets are faced with a confusing two-fold variation in calorie density, recommended intake, and wide range cost of low-calorie pet foods, according to a study by the Cummings School of Veterinary Medicine at Tufts University. The study, published this month in the Journal of the American Veterinary Medical Association, examined nearly 100 commercially available diets with weight management claims. Among their findings is that dry dog foods range in calorie density from 217 to 440 kilocalories per cup (kcal/cup) and a recommended intake that ranged from 0.73 to 1.47 times the dog’s resting energy requirement. The diets also varied wildly in price—from 4 cents to more than $1.10 per kilocalorie. Similar findings were made in wet dog food (189–398 kcal/can) and cat food (235–480 kcal/cup) marketed for weight control. 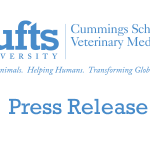 The results may be significant for owners whose cats or dogs are overweight or obese, according to Lisa M. Freeman, DVM, PhD, DACVN, the study’s co-author along with 2010 Cummings School graduate Deborah E. Linder, DVM. Nearly 50% of domesticated animals are overweight or obese. There is so much information—and misinformation—about pet foods, it’s understandable that people are confused about what to feed their dogs and cats, said co-author Dr. Lisa Freeman, professor of nutrition at Tufts University’s Cummings School of Veterinary Medicine. To counteract these myths, people are accustomed to turning to the labels on food—but, as this study shows, packaging might not always be a reliable source of information. Under federal guidelines, pet foods labeled lite, light, low calorie, less calorie, or low calorie must provide the caloric content. Foods with a light, lite, or low-calorie designation must also adhere to a maximum kilocalorie per kilogram restriction. However, Freeman points out that more than half of the foods evaluated in the study exceeded this maximum. Foods without these designations currently are allowed, but not required, to provide the caloric content on the label. Efforts are currently underway to make this information required on all pet food labels. Another important issue identified in this study was the high variability in feeding recommendations for weight loss based on the labels that were evaluated. In fact, for most of the diets, pets would not lose weight or would actually gain weight if owners adhered to the labels’ feeding directions and did not adjust according to their pet’s individual calorie requirements.